Mr. Chingaipe is an experienced Political Scientist specialized in Governance and Development. He holds a Doctorate Degree in Political Science from the University of York (UK), a MA in Development Studies from the University of Cambridge (UK), and BA in Political and Administrative Studies from the University of Malawi. He is an experienced researcher and a former university lecturer with knowledge, analytical competence and research interests in public policy analysis, institutional analysis and development, state theory and praxis, political theory and governance, elections and electoral processes, democracy and democratisation, state-society relations, the politics of international aid and development effectiveness of aid and political economy of development. 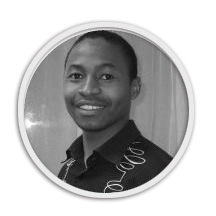 He has solid work experience in the Public Sector in Malawi where he helped to institutionalize research services in the Malawi Parliament and taught at the Universities of Malawi and York (UK). During his professional career he has provided consultancy services to the Australian Agency for International Development (AusAID), UNDP Malawi, Dan Church Aid Malawi, British Department for International Development (DFID)-Malawi, Irish Aid/Malawi Economic Justice Network, Action Aid Malawi, Centre for Multiparty Democracy, Konrad Adenaeur Foundation, Deloitte &Touche Malawi, the Pan African Parliament (RSA) and the Civil Society Governance Fund (Tilitonse) in Malawi, and UNICEF, CARE Malawi, Norwegian Church Aid and CISANET, among many others.